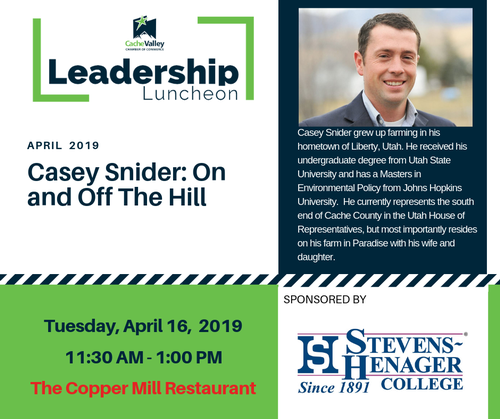 Casey Snider grew up farming in his hometown of Liberty, Utah. He received his undergraduate degree from Utah State University and has a Masters in Environmental Policy from Johns Hopkins University. He currently represents the south end of Cache County in the Utah House of Representatives, but most importantly resides on his farm in Paradise with his wife and daughter.